Not attending the National Day parade? We’ve got a list of events and promotions you can look forward to on this public holiday. 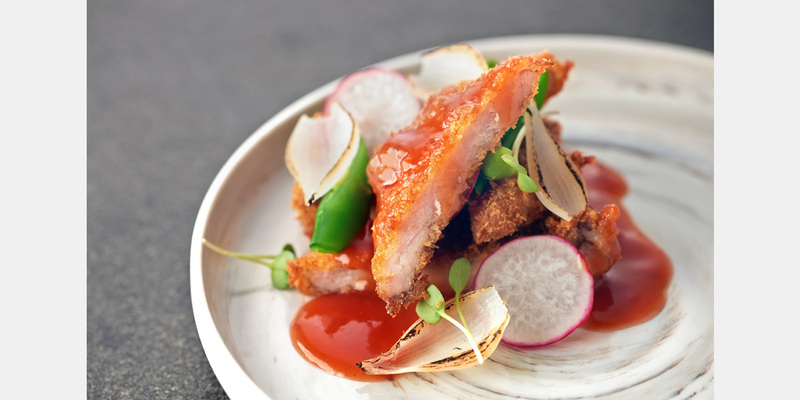 Contemporary izakaya Mo’mor presents two special tantalising dishes boasting the marriage of Hainanese and colonial culinary styles – the Hainanese Pork Chop, which is deep-fried to an enticing golden brown, and the Hainanese Ox Tail Stew which is cooked for 8 hours. Only available till 9 August. If you’re planning on hosting a dinner gathering with family and friends, iCHef is throwing a 51% off promotion for all second-item purchases. Delight them with a wide selection of tasty seafood dishes such as Cream Sauce Scallops, Argentina Red Shrimps, Scallop Sashimi and Snow Crab Legs. If you’re still unaware, CRAVE houses both the famous Adam Road nasi lemak by Selera Rasa as well as Amoy Street teh tarik from Rafee’s Corner! 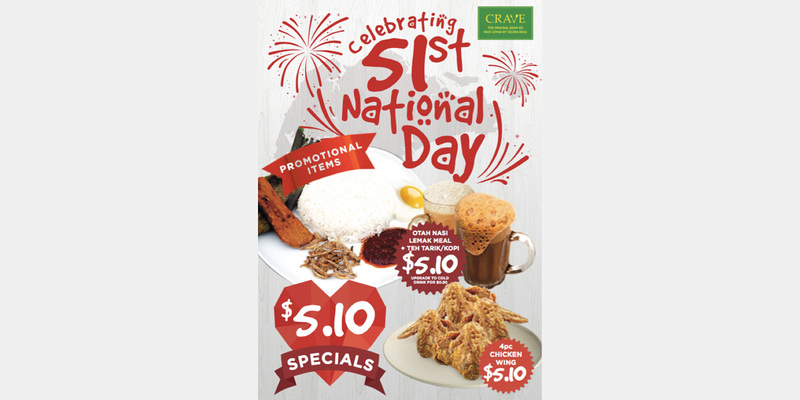 Enjoy the SG51 combo – a combination of CRAVE’s Otah Nasi Lemak Set and the signature teh tarik or kopi at S$5.10 only. If you’re planning on staying home, Viu is offering free priority access to all the latest Asian entertainment content so that you can catch up on your favourite dramas and variety shows. Featuring true-to-life puppets and a live cast, this interactive theatrical performance is filled with singing, dancing and fun games! 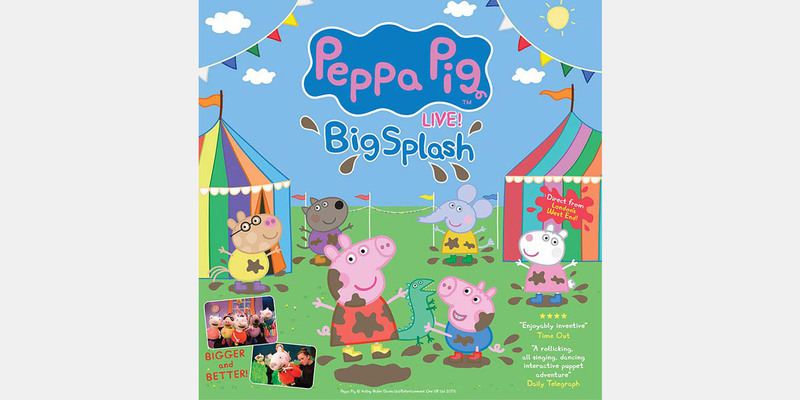 Peppa and her friends are attempting to fix the leaking nursery roof, but they’ll need to raise money for that. Get your tickets here. From now till 10 Augustust 2016, Robinsons is offering up to 20% off of selected products, with a second item purchase at up to 51% off. You can also redeem selected products with storewide purchase-with-purchase by spending a minimum of $51 in a single receipt. Singtel and M1 are offering unlimited data usage on National Day while Starhub users will receive an additional 1GB of free data for the month of August. For aspiring Pokémon masters, you can explore the island for your Pokémon without worrying about data usage. Just remember to bring a battery pack along. From 1 August to 30 Sep 2016, visitors will enjoy 51% discount off regular tickets. 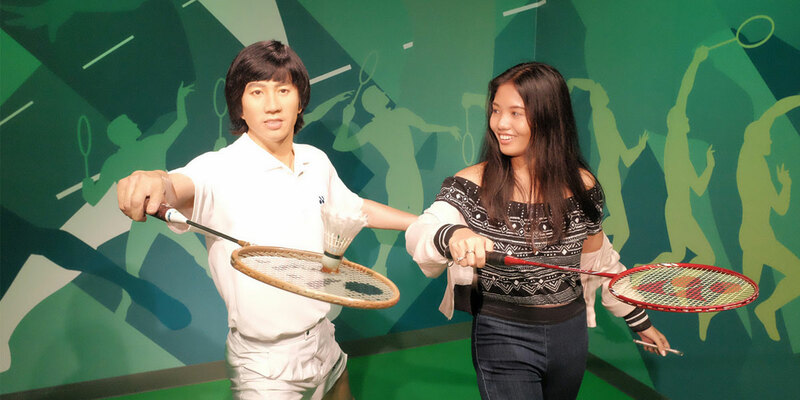 Each ticket includes an entry to Madame Tussauds Singapore, Images of Singapore LIVE and Spirit of Singapore boat ride – Madame Tussauds’ first and only boat ride in the world. You can also celebrate the 2016 Rio Summer Olympics with your favourite sports superstars and Olympic champions. 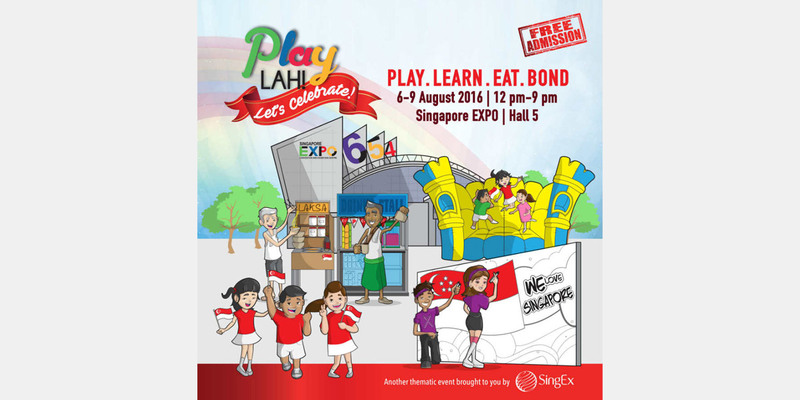 The National Museum of Singapore is hosting an array of activities on 9 August, from craft activities for families to film screenings of Royston Tan films. For more information, please visit the National Museum of Singapore website. PlayLah! Let’s Celebrate! is a carnival of fun for the young and old, featuring activities such as craft workshops, bouncy castles, a giant play mat and educational zones where anyone can learn more about this little red dot we call home. Plus, there’ll be a live screening of the parade on August 9th itself! Join Pam as she weaves interactive tales about animals and nature in this trilingual storytelling session. Learn how we can do our part to save our environment! Bartholomew Ting guides you through the building of larger-than-life sculptures at the Esplanade. Channel the kampong spirit and build giant Esplanade-inspired sculptures! Chef Irene whips up yummy local dishes such as satay chicken and mee goreng while singing along to National Day songs with quirky characters. This will be your last chance to visit before it reopens only in 2025. The Singapore Land Authority (SLA) will put on display a selection of photos from its recently concluded contest, Celebrating Places and Memories. 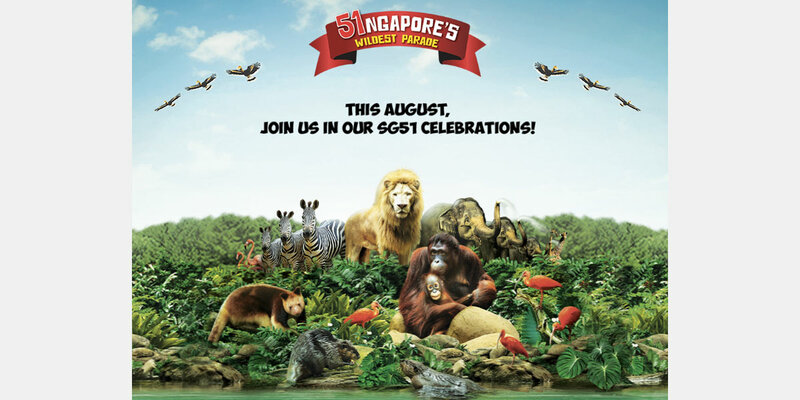 From 1 to 31 August, spend the day outdoors with animal friends with 51% off Singapore Zoo and River Safari combo tickets, and 51% off Jurong Bird Park admission. For more information, click here. 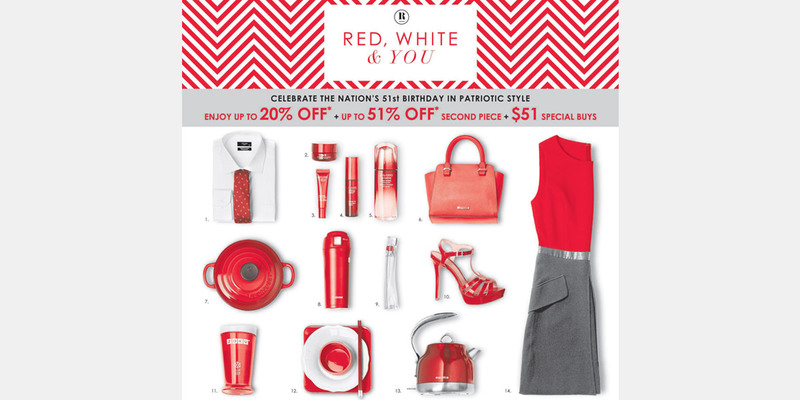 What are your plans for this National Day? Share them with us here!